Islamabad: Civil society organisations on Wednesday urged the Ministry of Interior (MOI) to develop a referral mechanism to curb human trafficking and modern slavery in Pakistan. 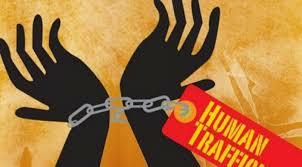 A statement issued by Sustainable Social Development Organisation (SSDO) says that human trafficking is becoming serious issue in Pakistan where thousands of innocent Pakistanis are transferred from Pakistan to other countries by giving them greed of jobs and business through agents. “Pakistan has no clear policy on these issues to protect its citizens’ from trafficking or to ensure the rights of labour and counter illegal migration,” claimed the statement. It mentions that Pakistan faces the risk to be included in the blacklist if the country failed to develop a mechanism to address the human trafficking and modern slavery issues. Pakistan’s border with Iran and Afghanistan is generally used to take the innocent people to other countries by giving them greed of jobs and business to other countries. These citizens are exploited by travel agents and traffickers in other countries by abusing them for bonded labour, child abuse, sexual abuse and many other heinous crimes and human rights violations. “The government does not have the mechanism to protect the victims of trafficking and provide them counselling in their centres. The referral mechanism is developed by most of the countries that provides protection to the victims of trafficking by their respective immigration authorities. The Ministry of Interior and Narcotics control needs to develop a policy to counter the trafficking issues on immediate basis to protect the citizens from traffickers,” says the statement. The statement also suggests establishing a think tank or advisory group comprising parliamentarians, academics, media persons, lawyers, civil society organizations, officials of concerned law enforcement agencies, and representatives of all the provinces so that a comprehensive mechanism should be developed both at national and provincial levels. “The new government should therefore take this issue seriously as its priority agenda. To begin with, orientation sessions should be arranged for all the stakeholders to apprise and capacitate them to fight this alarming issue that has yet been a neglected issue in Pakistan,” it states.